Almost Heaven | Canton, Ohio | dreaming of the next bite. There is definitely no shortage of ice cream shops in Canton Ohio. It seems every neighborhood has their own, to which residents remain loyal. Being food-obsessed as we are, we go pretty far out of our neighborhood (and way too often) to indulge in Almost Heaven on Middlebranch. It’s just the best. I definitely have a preference for real ice cream over soft serve. Don’t get me wrong, I love it all, and if we had fro-yo in the vicinity, I would choose that and save myself some calories. But nobody seems to be catching on to the fro-yo craze around here yet. 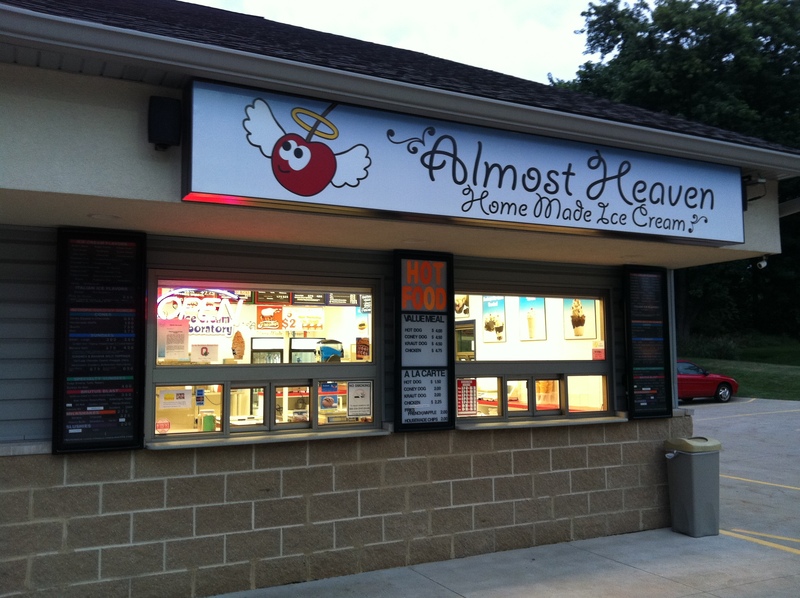 Almost Heaven’s ice cream is homemade and it is all delicious. We’ve been addicted to the stuff ever since sampling it for the first time at Taste of Canton. It was the orange-pineapple that sucked me in, but their butter pecan is also deliciously smooth and rich, and the chocolate peanut butter cup is pretty great too. They also make their own waffle cones and chocolate dipped sugar cones. 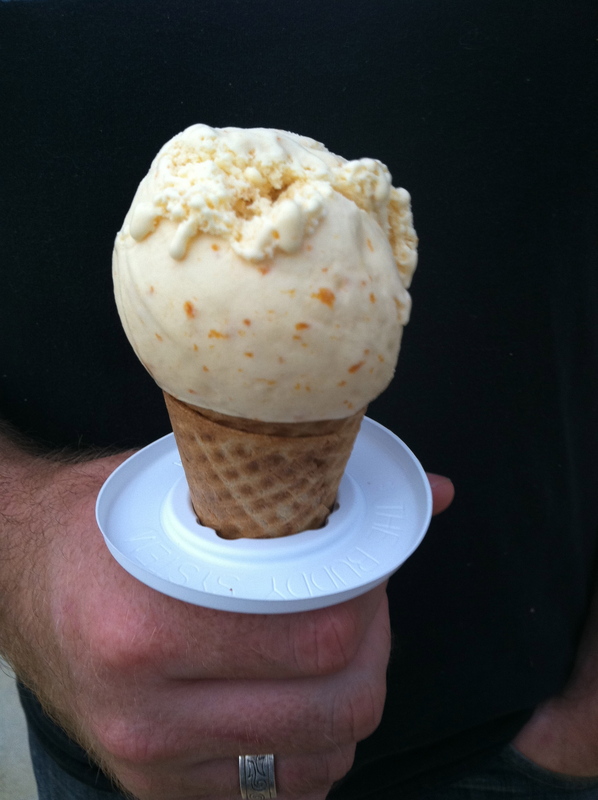 AH’s ice cream definitely competes in quality and taste to Handel’s, which is also homemade. Handel’s certainly has more flavors, probably double Almost Heaven’s 22. But one advantage to Almost Heaven is that they charge by the ounce, so you can get exactly as much (or as little) as you want. You never have to walk away with a ginormous scoop and feelings of guilt for consuming a whole day’s worth of calories in one sitting. Nobody needs that kind of guilt. My only complaint is that they don’t stay open all year. Seriously, I don’t stop craving ice cream treats just because the sun goes away for six months. In fact, I would rather have it in the winter, when melting on the way to your car is a non-issue, as is worrying about calorie consumption during bathing suit season. Really, this closing in winter thing is pretty much unacceptable. So get on over there because summer’s flying by, and before you know it, Almost Heaven will close for the season, (sniff). 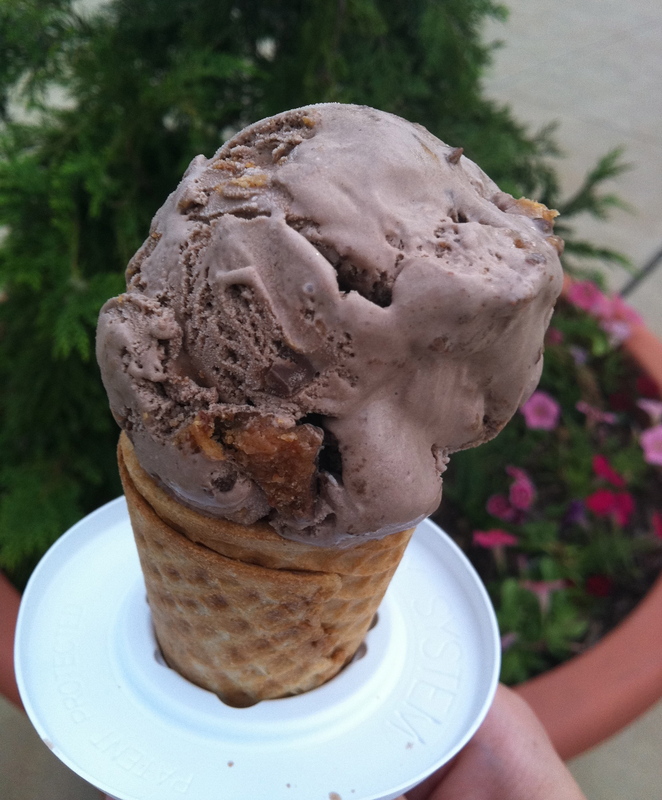 This entry was posted in Canton, OH and tagged ice cream, one-and-only by Yvette (@foodiedreamer). Bookmark the permalink. Fro-yo came & went several years ago. If you are looking at a little road trip, run up Rt44 to Rootstown & check out Billock’s ice Cream. All also homemade. Oh, and they have a Mexican Restaurant there too! Ha, okay Carol. I didn’t realize fro-yo ever arrived in Canton….but thanks for keeping me honest. Maybe this happened when I was in San Diego – when I moved in ’08, fro-yo was huge there (and non-existent here). All I know is somebody needs to bring it back! As for Billock’s, think I’ve been there actually – we’ll have to road trip it up there and see how it stacks up to AH. AH takes orders for winter consumption. Last night I was with another AH fan from E.Canton, she orders almost weekly for the grandkids. Give them a call! Pingback: Menchie’s Frozen Yogurt | North Canton, OH | dreaming of the next bite. Pingback: Enter to win: Taste of Canton tickets | dreaming of the next bite.